A special place where guests can devote time to themselves, seek peace, relaxation and personal wellness! 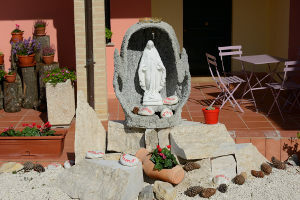 The beautiful landscape, peacefulness and energy that still characterises the land of the most famous Italian Saint, offers a relaxing, rejuvenating and energizing stay to all who visit. The lush green surroundingsof the “Agriturismo Arcobaleno” make it the perfect location for groups interested in organising holistic courses, events and also theme parties where the spacious living room (250m2) ensures comfort for all. This room can also be used for reading, relaxing, listening to music and even as a play area for our very important younger guests! We have carefully studied the design and colours of our rooms following the Feng Shui teachings to guarantee guests a beautiful room that promotes a flow of positive and nourishing energy. 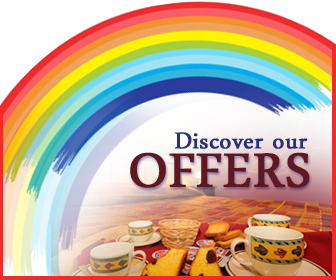 We use organic products in the preparation of our foods and also sell a range of jams, honey and olive oils. 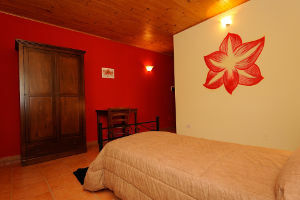 Agriturismo Arcobaleno is the perfect place for anyone searching for a peaceful and tranquil hideaway! I declare that I have read of the personal data processing and have fully understood and accepted it.